This is the mini ITX build I've been working on for a while and I couldn't be happier with how it turned out. I'll use this pc mainly for light gaming and productivity. Some parts come from last year's build! I matched Life is Strange posters to my build since I'm devoted to that universe. CPU & Cooler I had the chance to get this beast for a good price, and hopefully it'll lasts me a long time. I paired with a NZXT liquid cooler because it really helps with temps and it's aesthetically pleasing. Motherboard Clean and functional. Also the lights in the back are awesome! Ram Basic ram, the cheapest I found last year. I'm glad they didn't cost me a fortune like they do now. Storage I couldn't live without an SSD, and this one is really fast. I also had a nice deal with this one. I'm using an external HD for bigger files aswell. Case This is pretty much the reason I've started building this whole thing, it's just beautiful and compact. It might take some time because of the amount of space you have while putting everything inside, but it's definitely worth it. 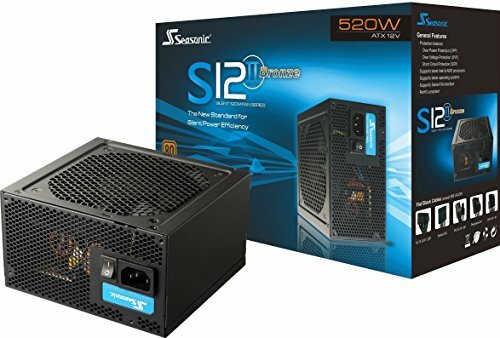 Power Supply Seasonic means quality. It's cheap, silent and never failed me once. GPU Since I don't play heavy games, I don't really need an expensive graphic card. I'm happy with it for now, but I think I'll consider buying a new one with the next generation coming this year, only if needed. Keyboard First time with a pure mechanical keyboard, I'm impressed with how responsive and fast it is. It's also saving me space on my desk cause it's a TKL model. Others NZXT RGB fans are beautiful, they came with the HUE+ which I had to connect to the internal usb HUB due to the lack of USB 2.0 ports on the motherboard. It's tricky but worth it in the end. So much cleaner than my desk +1 also awesome build love the colour scheme. Thank you! I saw your AMD box few days ago and it's awesome! Doesn't get much cleaner than this. That build is so clean! I’m surprised by the kraken for a locked i5, but it looks sick, so I totally agree! Wow, what an amazing build! You did a great job taking the photos as well. Always happy to see a female touch to PC building, congrats! Love it. Every single thing. It looks awesome, congratulations. Good job taking your time with the LED's. They look incredible. Frankly, your entire desk is amazing. The only visible cords on that desk were the mouse and keyboard cords. Nice job. Can't get over the color scheme. How did you get that Life is strange poster? Those are some clean photos, definitely didn't take them with an iphone. Digging the PC too. Wow. So gorgeous & clean. Love the purple theme and how it contrasts with the white desk and black peripherals. A job well done! Looks fantastic! I think it's the first RGB build I've seen that actually looks great. The table is also very aesthetically pleasant to look at too! Prob one of my favorite new builds. Its so clean and purrty! NZXT is gonna make me change my mind on a couple things.. Thank you. I dig NZXT products so bad. They look clean and have the best quality. It's frankly impossible unless you start doing custom length cables for everything. I recon about 80 or 90% of the build time for mine was spent faffing around with fan and RGB cable routes. But hey, that's half the fun... isn't it!? Exactly! That part took me most of the time, especially the fans cables. Even though I had to press all the cables inside (usb hub & hue+ too) I'm still happy with the result. Also, I meant to ask about the desk lighting... is this connected up to the HUE+ or is it something else entirely? Your picture are absolutely amazing +1 bro! Cleanness is underrated. Superb work! Gorgeous and Functional. Well done! It's legendary me mate! I also love NZXT cases! Oh yeah. Gorgeous and clean design! build looks absolutely amazing, but i would recommend upgrading your gpu, i also had a gtx 1050 and i upgraded to a 1060 and it was night and day difference. I agree. For now I'm okay for what I usually play. I think I'll wait for the next generation as I mentioned in the description :P Hopefully prices will be decent at that point? Beautiful! And I wish my computer area could be so tidy. Is the GPU being so close to the PSU shroud an issue for you? 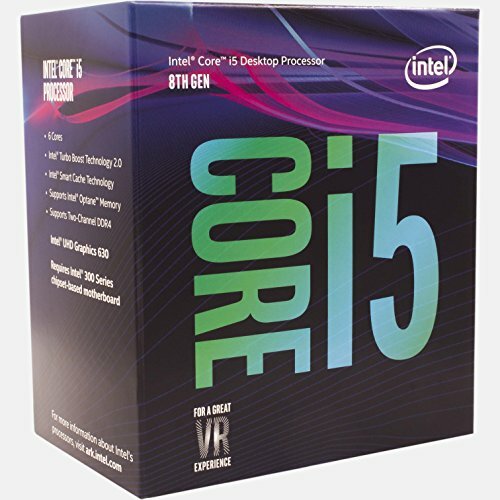 Like elevated temps or similar problems of the like? No problem whatsoever! This pc runs super cold. Excuse me while I grab my jaw off the floor then turn off my pc and take a deep breath. DUDE THIS IS LITERALLY MY DREAM SETUP! SO JEALOUS! seriously though, great build it looks so good. Thank you! I literally just upgraded a couple stuff days ago. I might upload some new pictures. Sweet build! I'm looking to move my rig into this case. Do you use the hub included with the case for your fans, lights, etc or do you use the internal USB hub you included on your part list? Just wondering what the hub that comes with the case needs to connect to on the motherboard, since my motherboard doesn't have a RGB header. Thank you mate. Well it's a bit tricky: If you want to put both the Kraken AND the Aer fans, you must purchase the NZXT usb hub. These fans came with 2 plugs, so one goes to the hub and the other in any fan header available in your motherboard (in this case, you can connect both fans in the Smart Device included in the case). Hope this helps! I put both the HUE+ and the NZXT usb hub right under the PSU shroud. Cables will stay really tight, but I didn't have much choice. May I ask what camera you used to take these pics? Where did you place the Hue+? I imagine its quite tricky placing it considering the limited amount of space in this mini itx enclosure. Your build is making me consider going with aio cooling, but i'd feed the tubes through the opening in the white cable management bracket. Were you able to reach the smart hub in the back of the case with the nzxt aer rgb fans? or did you need an extensions to go all the way from the back of the case to the smart hub? You can never go wrong with minimalistic. You should go like LinusTechTips and add actual amethyst. Anyways, nice build. ! 28 c° average on CPU, 38 c° on GPU. Yes, it looks beautiful and has great components, but I don't quite understand the featured picks on this site. There are probably 500 builds in b/w NZXT case with Kraken AIO and some leds behind the table (mine included), but what makes them stick out? Don't ask me that. I'm pretty sure there's an algorithm behind this. I can guarantee it's just staff-picked. Not really. Plus I'm not interested in that. In the picture I had the Rival 100, but mines broke after about a year (partially the mouses fault partially my fault, the lmb was dying like smushed so I thought if I pulled it up it would be good but I took it all off). I have the Rival 310 now and it's really good. I have the Arctis 5 headset, I stopped using the Hyper X.
Lmao, almost identical periphericals :P Is the Rival 310 good for multiple grips? Amazing build. Looks amazing. I would say why did you pair such a beefy cooler with that cpu, but with that cooler especially, its irresistible. I love this build. One of the most aesthetically-pleasing builds I’ve ever seen! Did your camera cost more then this PC? Honestly I don’t know how my answer would be any helpful to you, but no the 1300D is an entry level camera. Clean. What desk is that, and how is the cable management? I'm thinking about using the IKEA Malm Desk, but I'd like something more simplistic, with better monitor mount support. Ikea Linnmon. Cable management can be quite easy and clean if you don't install NZXT rgb fans. In my case it was a bit of mess. Hey, is there any way I could have 4 rgb fans in this case? I’m planning on going for the 120mm Masterliquid rgb in the front and 2 matching fans for exhaust in the back. I love the idea of mini ITX plz respond! So you connected the internal usb hub to mobo, then connected the HUE to the nzxt hub. And then connected the 2 aer fans to hue+ and the kraken to the nzxt hub? Correct. Also consider that the aer fans need to be powered up, so 1 cable from each of them went to the Smart Device (while just 1 goes to the HUE+). I came to conclusion that building all these NZXT products in another case would be pretty much impossible due to lack of 2.0 headers in the motherboard. The Smart Device helps solving this issue. The nzxt fans have 2 wires? Do you ever have plans to route the monitor cables in the wall? It would make it so much cleaner! Very clean build. Just want to throw you props for cost on this build! very similar to mine, and through frugal purchases I was able to keep mine to $1,256 US. 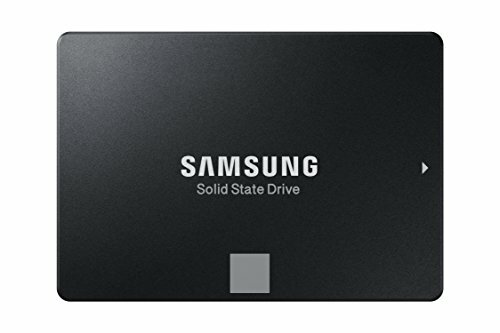 Does the Hue+ fit on the front SSD tray? Where did you mount yours? OMG I'm so jealous. This is literally every part I could ever want all the way down to peripherals. And I love the color coordination. +1! DEFINITELY need a new monitor lol. I got an hp omen 25" 144Hz at Best buy for $200, But an ultrawide would look nicer with this. 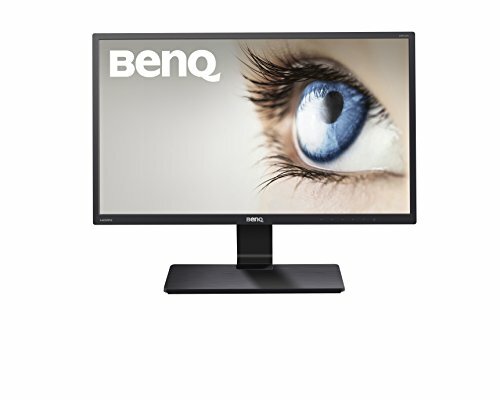 the LG 25um58-p should be perfect but it can only go up to 75Hz. At least it's more than 60Hz. That white case is "smexy." I'm working on a build for my wife and I've tried to talk her into getting that case, but unfortunately she prefers the black version :/ lol. She loves that game as well. Very clean and minimalistic setup you have there. Great job!! What fans do you have up the front? Hey so I am going to use the same case and I tried to get a kraken x42 and it says it won't work did you have the same thing happen and did you have to modify the case? Amazing build! Does the case support the x42 + a 120mm fan or 140mm in the front? I'm in between the x42 and m22 for my h200 build. I'd call this a guaranteed feature. Great color coordination, and super clean photos. Love the theme, did you encounter any issues, mounting the x42 to the front, is there room for another 140 or 120mm fan underneath the radiator? Thank you! You know, as much as I love ITX builds, you always end up having zero space moving your hands around and tie the cables correctly. I would definitely recommend a h400 any day.